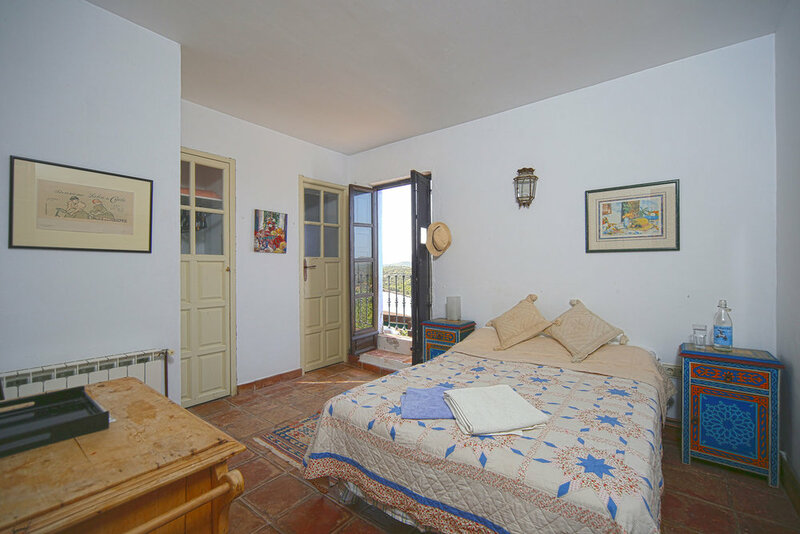 A beautiful, traditionally renovated Andalucian cortijo, perfectly designed for large group getaways. 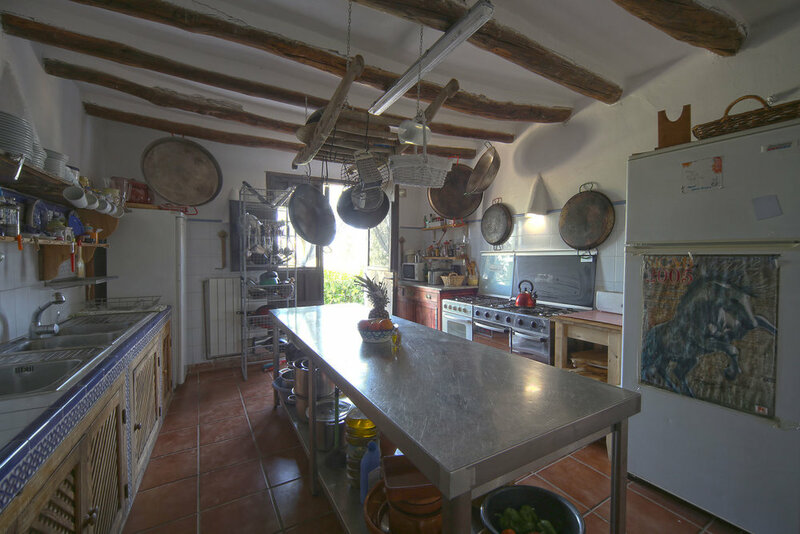 El Cachete is a 150 year old farmhouse set in 80 acres of beautiful olive groves. 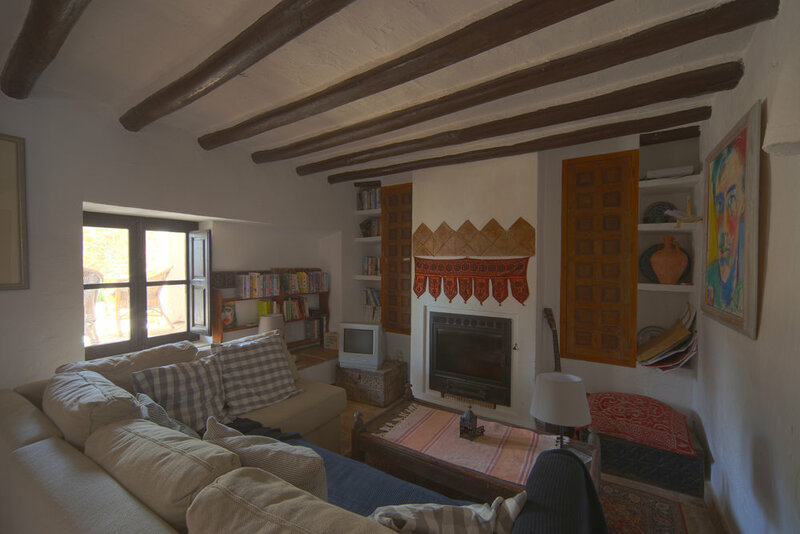 The cortijo was bought in 2000 and the owners, Jim and Mary Cairns, have done extensive work on the property to ensure that it can accommodate not only a large number of people (up to 15) but also a variety of activities, whilst putting minimal strain on the environment. The cortijo has been designed to be as eco-friendly as possible; the water is sourced from its own well and there are solar panels to heat the water. Whatever you're looking for from a group holiday rental, this cortijo has it; whether that be swimming in the 20 metre long, 2.75 metre deep pool, soaking up the sun, playing ping pong, or seeking out one of the hidden cubby holes - perfect for reading or simply having some ‘me time’. 1 master bedroom, ensuite, featuring a private balcony providing spectacular views of the pool and surrounding countryside, with steps leading directly down to the pool area.